I made two versions of the crate, one in Kraft cardstock (retiring) and the other in Crumb Cake. I punched the handles in the end using the retired Word Window Punch but the Classic Label Punch would work perfectly as well. The fiddliest part is punching out the overlapping sides. I found the easiest way was to use the handle as a template to mark what needed to be cut out, then punch and adhere each side in turn. I found Tombow was the best adhesive for this project as it gave me some wiggle room to line things up properly and is super strong when dry. The topper is also quick and easy, a 3″ x 3″ square of Whisper White folded in half with some DSP and a little decoration. I decided to staple my topper on for security and added some popped up decorations afterwards to cover the staples. 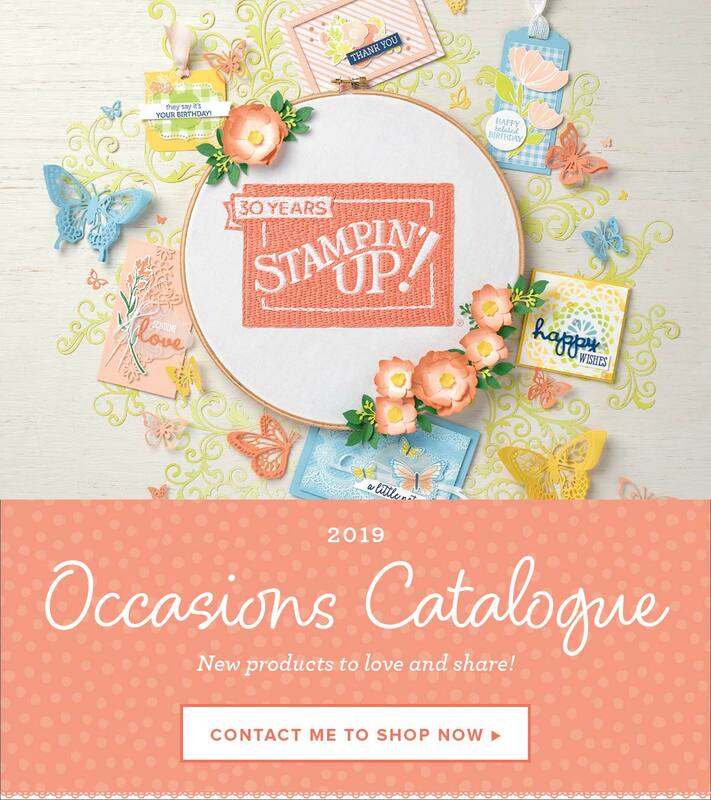 If you like this little country-style favour, you’re going to love a new framelit coming in the *new* catalogue, it’s definitely on my wish list! Punch handles from each end of base. Line up two of the scored sides, mark overlap and punch, then attach with Tombow. Attach the DSP cloth to both sides using glue dots. Attach to the top of the bag and decorate as desired. I hope you like this last-minute treat idea, sorry it’s a bit later than planned, time just runs away from me sometimes.